To be a little more clear about what I’m talking about here, it’d probably be easier to explain if I provided some examples. Basically, in any long-running series following the story of good versus evil, there’s generally two ways things can go in terms of power/progression between the good guys and bad guys. 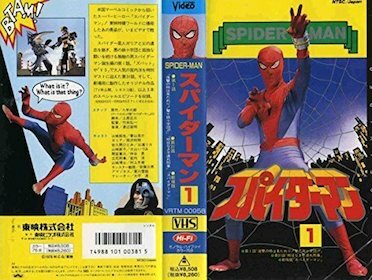 For the sake of simplicity, we’ll call them Dragon Ball progression and Spider-Man progression. Raditz, who boasted an impressive power level of 1,500 when fighting Goku and Piccolo, would have been no match for a Namek saga Krillin (1,860) just one season later. 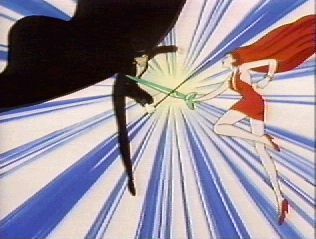 So the question that we’re confronting today is: which of these two styles do the villains of Sailor Moon fall under? 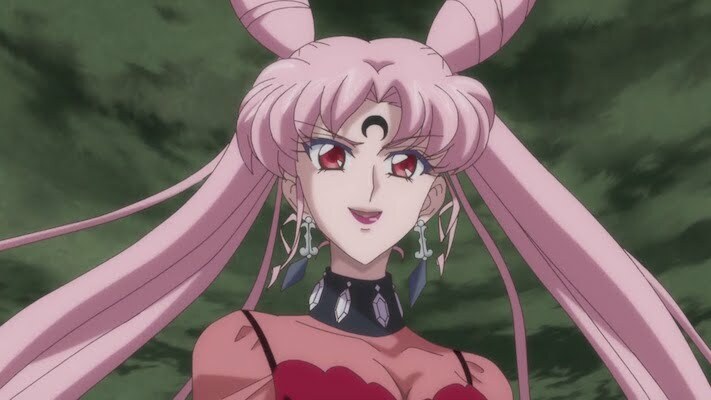 Unfortunately, we don’t really have any examples of any of the Sailor Moon villains facing off against each other, so we can’t really do any direct comparisons. However, I think we can at least make a few solid guesses based on what we know about each of the respective enemies and about the series in general. First off, we’ll be restricting our conversation to the anime. Not only does this make things a lot simpler since we won’t need to juggle conflicting information, but I also think that you can make a pretty strong case that the manga is a lot more of a clear-cut case of every consecutive villain being more powerful. And that makes this whole discussion pretty boring. What about the anime, then? Well, despite the fact that the Sailor Soldiers do get new attacks, transformations, and eventually even new Super forms as the series progresses, I don’t believe that they actually power up in any substantial way. I have several reasons for thinking this, which we’ll discuss in no real order. 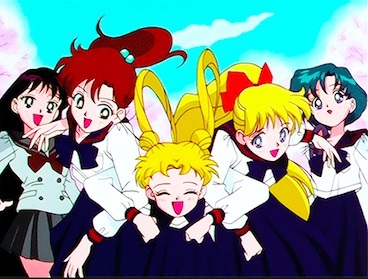 My biggest reason for this, and incidentally the reason why I find the plot behind Dragon Ball Z hard to swallow at times, is that if the Sailor Team powered up each time and fought increasingly more powerful enemies, that means that the entire story as we see it is proof that Usagi is just incredibly lucky. 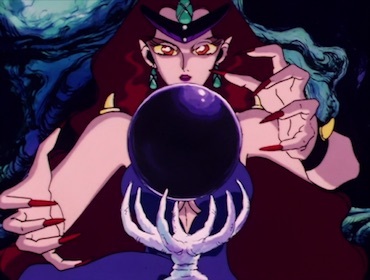 What if Queen Nehelenia hadn’t waited until Sailor Moon SuperS to start her hunt for Pegasus and instead took the stage right before the Black Moon arc? Would that have been the end of the Sailor Team? This would mean that it’s simply nothing but dumb luck that the enemies Sailor Moon faces happened to have been in the “correct” order — never too powerful to completely steamroll the heroes, and never too easy that it wasn’t even a challenge for them to win. 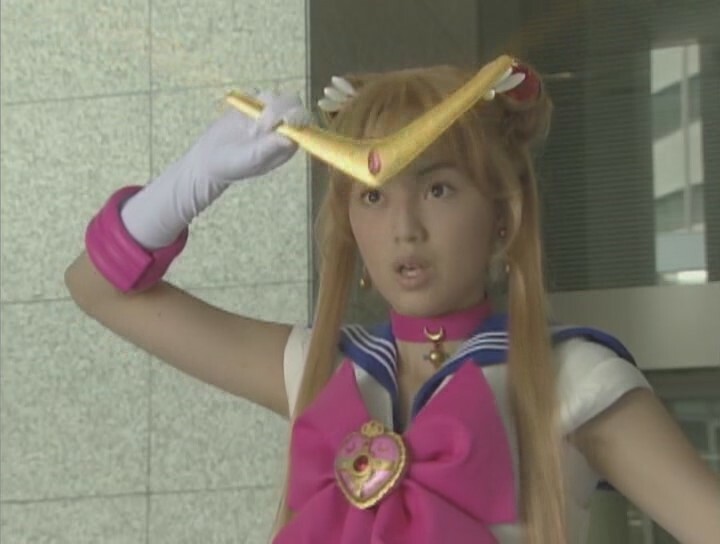 The fact that the Black Moon arc starts in the future and then comes back to modern times causes all sorts of bizarre and unfortunate plot holes in the Sailor Moon storyline, but we’ll conveniently gloss over most of that for now and concentrate on the most important point: the Black Moon Clan was able to defeat the Sailor Soldiers in the future. And yet, the Sailor Team back in the 90s is still somewhat of a match for them. In order for that to make any sense, that means that either they are not really powering up much as the series progresses, or we’d need to argue that prior to ChibiUsa and the Black Moon Clan coming back into the past, Sailor Moon and co. didn’t fight any further battles after Ail and An and that somehow ChibiUsa’s wacky time-travel adventures created a domino effect to bring the Death Busters, Dead Moon Circus, and Shadow Galactica into the picture. While it’s clear that there were some changes to the timeline brought about by time travel, I doubt it goes so far as to have caused the appearances of every other villain. Though admittedly a rather weak reason, Moon Tiara Action retains its ability to destroy enemies clear through the Cardian Arc, when it destroys the Cardian Vampir. 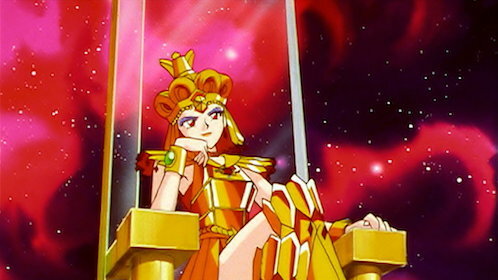 Considering that the Sailor Soldiers later acquire new attacks in order to fight the rest of the Cardians, if it was simply a matter of power rather than needing a new type of attack, it stands to reason that her Moon Tiara shouldn’t be able to destroy a Cardian at all. So let’s pretend for a second that the Sailor Soldiers do power up substantially with each season, and are fighting increasingly more powerful enemies. But what about Tux? He gets no new attacks, transformations, or anything at all outside of his brief adventure as Moonlight Knight. And yet, he still faces off against Zoisite, Fiore, and Kaolinite, with varying degrees of success. He even briefly fights Sailor Neptune in episode 94. Though the battle doesn’t really go anywhere, if there were large jumps in power between seasons, he shouldn’t have stood a chance against her or any of the other enemies. So there you have it, at least one man’s take on how the heroes and villains in Sailor Moon progressed power-wise as the series went on. Like most things in the series, the most likely answer is just that no one really thought too hard about it and they wanted to keep the series interesting by adding in new transformations and attacks. But I’d rather think too hard about these things and try to suss out an answer. Personally, I think that there really wasn’t much of a different in terms of strength for each season’s respective villains, but that the new attacks were needed since their old ones were ineffective for one reason or another. None of the attacks were actually stronger — just like how Rei’s Fire Soul isn’t necessarily stronger than Makoto’s Supreme Thunder — but rather they had a different quality/attribute to them. But that’s just my take on the issue. How do you think each of the villains stack up against each other? I’d be interested in hearing another take on this! I think power creep absolutely existed in the anime at least; it tended to have more instances of the girls’ abilities suddenly proving ineffective conveniently around the time a new season started, while in the manga this seemed more random and pretty rare. But I think it was just one of those tv conventions we’re expected to roll with than a intentional in-universe fact to take seriously. The closest to an *explicit* comment to the contrary I can remember is during the introduction of the Dead Moon Circus in the manga. Zirconia-Nehelenia warns her minions that outright attacking the sailor senshi directly will get them creamed (so it doesnt just seem like worry of calling attention to her plans) which is why the Amazon Trio (and Quartet?) ultimately try to trap the girls in illusions before attacking them instead. I know it’s kind of a running theme that Nehelenia has questionable faith in her team, and vice versa, but the idea of underpowered but clever baddie team is that much more interesting. I really do like the idea of having “differently powered enemies” much more than the whole “constantly encountering more powerful enemies,” but the anime definitely makes it hard believe that this is the case sometimes. Especially since, with the start of each new season, you’re always getting newer attacks, and Sailor Moon needs a new transformation and wand to help her through. I’ve always wondered how interesting it would be if the eclipse that released the dead moon circus happened, like, a week earlier while the death busters were still around. Would the senshi be overwhelmed? Would the two organizations collide? Ignore each other? It was interesting that a clear jump in power was evident from R to S, when Sailor Moon NEEDED to be upgraded just to fight the death busters. She was still powerful enough to kill a monster-of-the-day from the first series to R, and the rest of the inner senshi remained somewhat ineffective for the duration of S and most of SuperS until Pegasus gives them their super forms. That being said, the Dark Kingdom had some pretty creative and powerful youma with unique abilities that are utterly powerful and terrifying. In fact, the more the series goes on, the less seriously monsters of the day seem to be. They get goofier, if anything.